An outdoor multi use touch screen kiosk which is great for Digital Signage projects. Deliver vital information to wide audiences in areas where vital information needs to be displayed. They can provide access to health related information, patient surveys or be used for way finding. 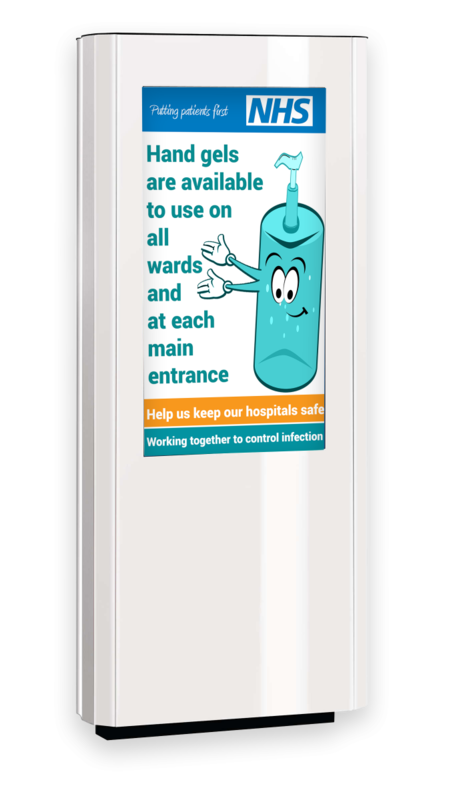 The kiosk can provide enough information for many users so they do no not have to speak with the reception team and reduce queuing in your Hospital.